Spaceport Camden still needs approval from the Federal Aviation Administration and Coast Guard before it a gets a license to launch rockets. But rocket maker ABL Space Systems announced in September it will lease a recently closed nearby airport to test rocket components. “This is just a great example of one of the companies who has expressed interest who would have never seen an interest in locating in southeast Georgia ‘twere it not for the development of Spaceport Camden,” James Coughlin, executive director of the Camden Joint Development Authority said. He added that they are already in talks with three other space-related companies. 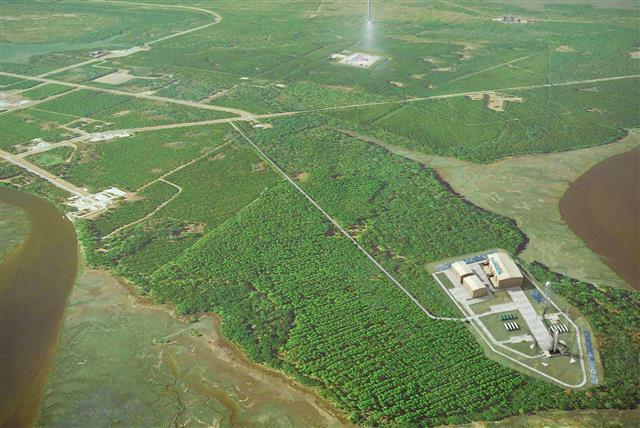 The U.S. Coast Guard will host a public hearing on the environmental impact of the proposed spaceport on Thursday Sept. 27 in Kingsland, Georgia. 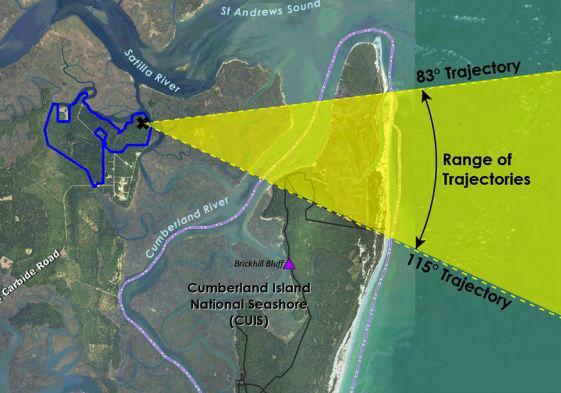 The proposed launch path for small- to medium-sized rockets would close waters to commercial and recreational boats in an area that extends 13 miles out into the Atlantic Ocean, over portions of Cumberland and Little Cumberland Islands. The Coast Guard is accepting public comments until Oct. 10.